2014. 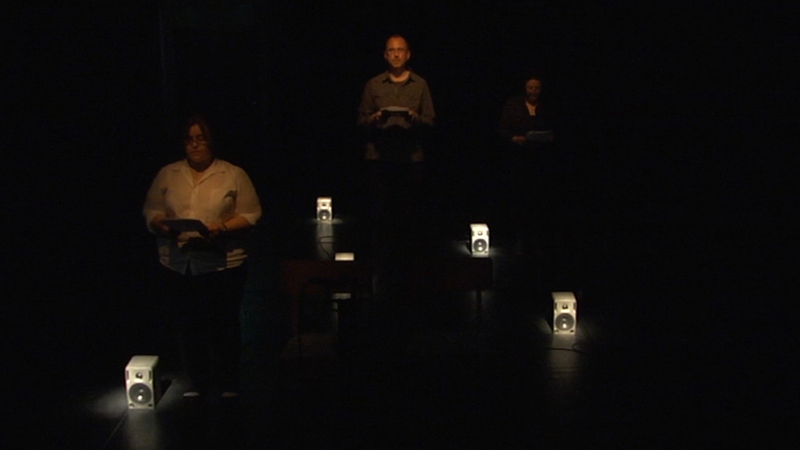 Sound theatre piece for live performers and prerecorded voices projected over loudspeakers. Approx. 15:00. First Performance by Antonie Frank Grahamsdaughter, Bianca Maria Barmen and Erik Peters at Stockholm Academy of Dramatic Arts May 2014. Also performed by Theatre of Voices at The Black Diamond, Copenhagen, September 2015.